Our rooms are named for the mood or state of mind that their accent color evokes for us and hopefully you will, in contemplating its significance to us, share in it as well. The room names are in Spanish to reflect our Hispanic roots. For the comfort of our guests our premises are designated as non-smoking. We are unable to cater for young children or pets. To download our brochure click here. Serenity, accent color blue. Serenity, at peace – a state of mind that in our view is conducive to introspection and re-evaluation and is reflective of self assurance and of the power to determine our destiny. 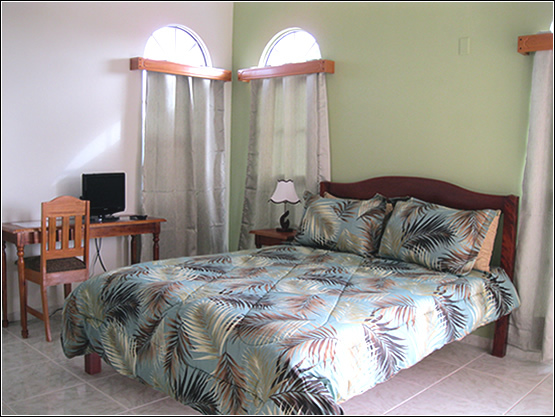 We hope that you will find your stay here with us, invigorating and uplifting. Hope, accent color green. Hope – a state of mind which to us reflects a positive expectation for success, satisfaction and fulfillment. For us hope is inextricably linked to life. 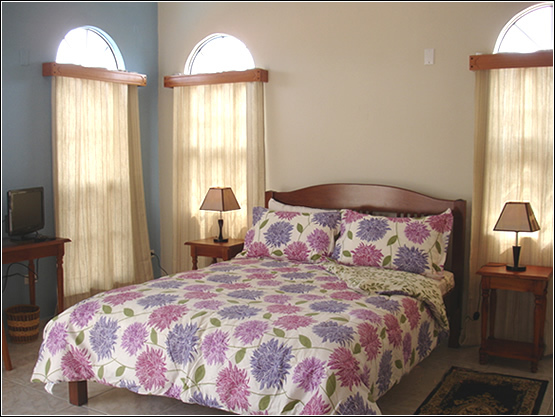 It is our wish for you that your visit to Belize be very satisfying and that your life be filled with success. Happiness, accent color orange. Happiness – In our view this is a state of mind that we deliberately choose and reaffirm at the break of each new dawn in recognition of this enduring and wonderful gift of life. This is the most elusive discipline of all. 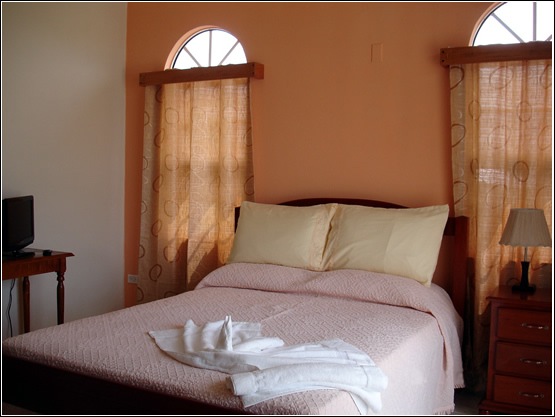 We do hope that the hospitality, the ambience and the friendship you encounter at Villa San Juan will contribute to the happiness you experience on your visit to Belize.